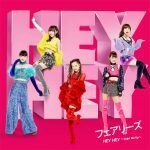 This is the girls 16th single overall, and this time they have decided to do God’s work by trying to make Eurobeat a thing again. HEY HEY ~Light Me Up~ is actually a cover of the 1993 hit song Hey Hey, by Vanessa. Fairies version is slightly updated for the modern audience, all while still staying very true to the original version. In usual Fairies fashion one of major highlights of the MV is the complex and impressive choreography done by the girls. For the MV they joined forced with akane,the mastermind behind the Tomioka Dance Club video on Youtube. Last year it became a viral sensation all across Japan, so far it has amassed over 42 million views. 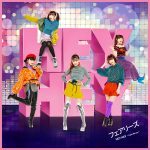 HEY HEY ~Light Me Up~ will be released in two CD+DVD versions, one CD only, and then five solo member versions. The b-side to be included in all the singles still hasn’t been determined yet. 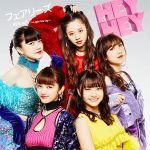 DVD editions will include the full HEY HEY ~Light Me Up~, making of footage, and a digest movie from their 2017 live tour STAR. It will hit Japanese store shelves on Feburary 28th, 2018. The MV and all of the single covers can be seen below.